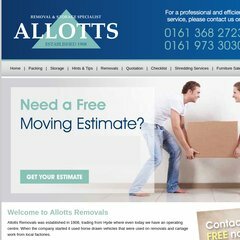 Topics: Packing, Storage, Hints & Tips, Removals, Quotation, and Checklist. The site is programmed for ASP.NET. It has 4 nameservers, including ns4.realnameservers.com, ns3.realnameservers.com, and ns1.realnameservers.com. It is hosted by Red Fox Uk Limited (England, Lancashire,) using Microsoft-IIS/6 web server. PING www. (83.245.63.121) 56(84) bytes of data.